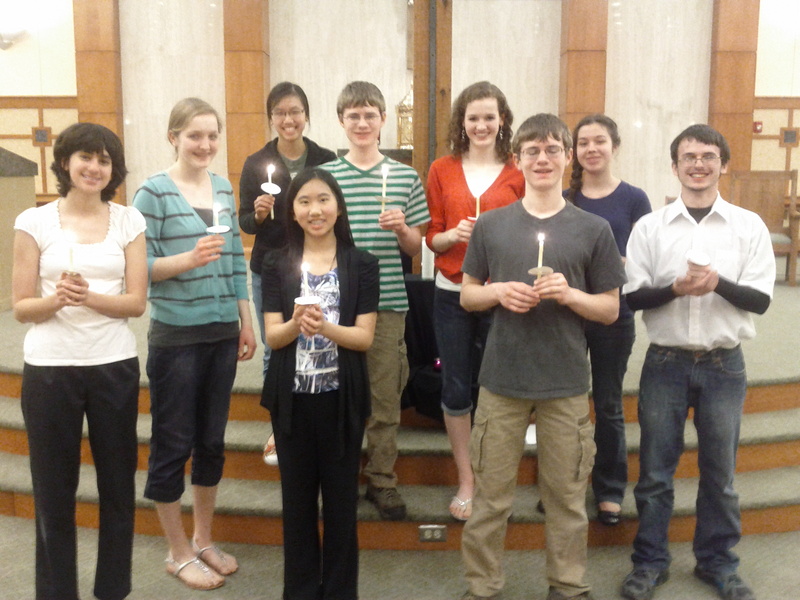 The St. Pius Youth Choir (SPYC) is primarily a student-run music ministry. The youth in this choir gain knowledge of liturgy and music ministry not only by singing in choir, but also by participating in a monthly music planning sessions. The students are also are given opportunities to play instruments and cantor at regular Sunday liturgies. While a year-long commitment to the choir is preferred, we allow for students to step away from the choir periodically throughout the year for other extra-curricular commitments. This is one of two choirs at St. Pius that sings year-round. For more information contact Katie Stinson. Ages: Open to students in 6th - 12th grade and some college age - no previous music experience required.